Images from the life cycle of developing ants. 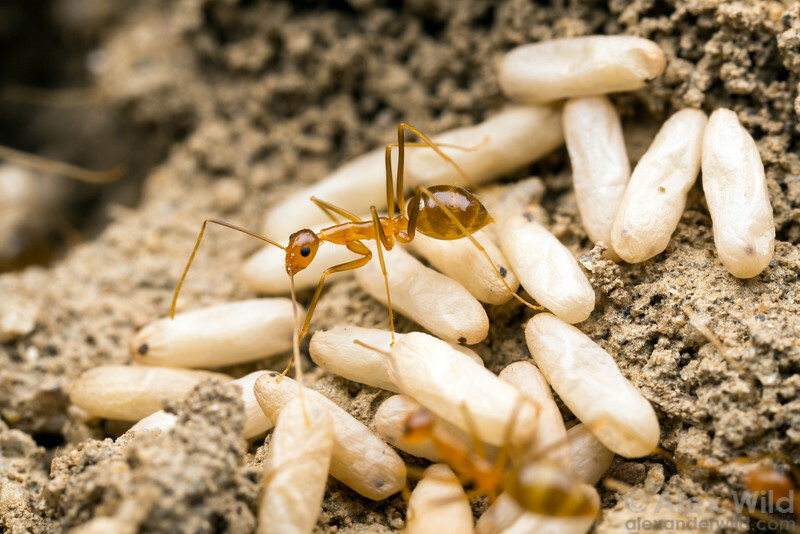 A yellow crazy ant with worker cocoons in the brood nest. Cairns, Queensland, Australia.